Increasingly many RDNs, rather than being the interviewees, are leading audio and/or video recorded interviews for their personal brands, company websites, blogs, and podcasts. Conducting a media interview with a guest expert takes skill and concentration to guide the interviewee to share the best information and insight within a specific time frame. Former CNN executive producer and correspondent, RDN Carolyn O'Neil, shares tips for successful interviewing from the other side of the mic. Identify examples of the emerging media roles of RDNs as the interviewer. Understand principles of preparing for a media interview by identifying key questions, selecting an appropriate setting for the interview, and budgeting time for the interview. Apply techniques for creating an atmosphere of trust and respect to allow the interviewee to feel comfortable sharing information with the RDN's audience. Ask open-ended questions and productive follow up questions to help the audience better understand the topic. Identify missing information after an interview to help fill in knowledge gaps and present a balanced viewpoint on a topic. 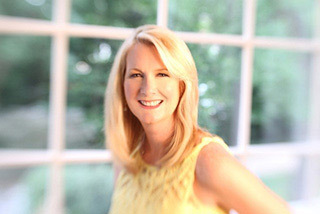 Carolyn O'Neil, MS, RDN, LD, is an award-winning food journalist, nutrition communications consultant, author, blogger, television personality, and registered dietitian nutritionist. She is the author of Southern Living’s The Slim Down South Cookbook: Eating Well and Living Healthy in the Land of Biscuits and Bacon. Carolyn contributes to Thrive Global, The Atlanta Journal-Constitution, Atlanta Homes & Lifestyles magazine, and WebMD Magazine. She appears on NBC Atlanta & Company and played “The Lady of the Refrigerator” on Alton Brown’s Good Eats on Food Network. Carolyn reported on food, nutrition, and cuisine at CNN for nearly 20 years, including assignments to “study” the food and drink of New Orleans. Carolyn has three James Beard Foundation Awards, including Who’s Who in Food and Beverage. The UNE Online Master of Science in Applied Nutrition program mission is to prepare individuals for leadership roles in the nutrition field, advance knowledge and expand skills that promote excellence and innovation in all areas of nutrition practice, and to emphasize evidence-based best practices to support the well-being and health outcomes of individuals, families, and communities through education, research, and service. Carolyn O'Neil, MS, RDN, LD, has no relevant disclosures to report. She has certified that no conflict of interest exists for this program. View our disclosure policy.